The consumer electronics chain entered the market with all guns blazing in 2010. It had planned to launch 200 stores in the UK, but has struggled to realise its ambitions in the tough retail environment and has only opened six stores to date. Matthew Freud’s agency has been Best Buy’s retained PR support since the UK launch last year. The account is understood to be worth about £200,000. With the work out to pitch, it is thought that Best Buy’s fees have remained at the same level, but the scope of the brief has increa­sed. Freuds is not expected to pitch for the work but the agency declined to comment. 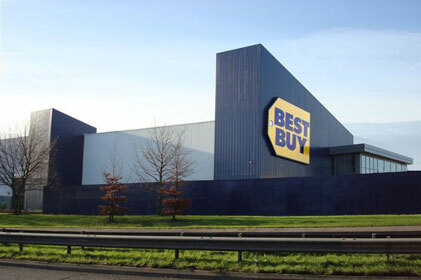 Best Buy has issued a brief to agencies but is not thought to have shortlisted. The brief is under­stood to focus on making Best Buy a ‘symbol of entertainment’. The news of a pitch follows the exit of many senior UK executives, most recently UK marketing director Kevin Styles and UK commercial director Harry Parmar. The company is exp­ected to post losses of £45m this year. Best Buy, which planned to seriously challenge establi­shed UK chains Currys and Comet, has so far opened only six stores in the UK, with a further eight planned for 2011. In the US, the brand accounts for 19 per cent of the market. It also operates in Mexico, Canada, China and Turkey.